Look at all those warnings. 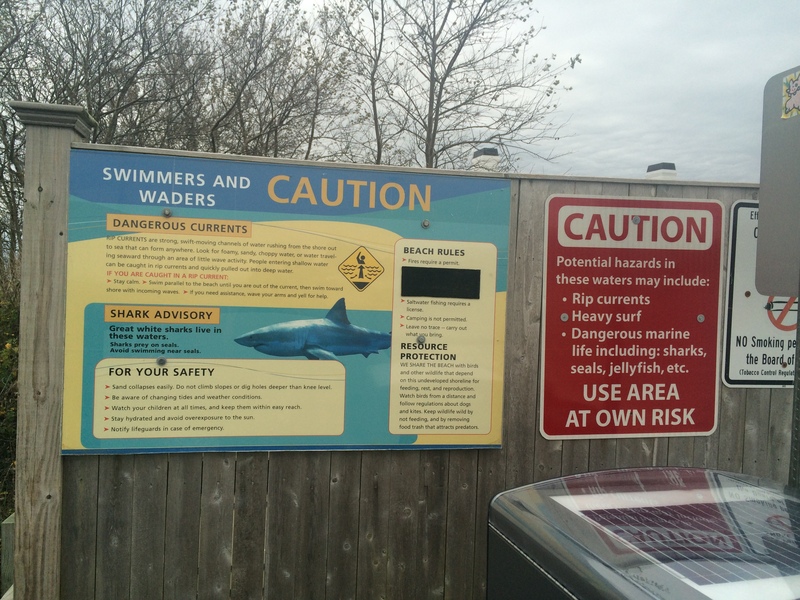 It is NOT a good idea to swim at the Monomoy National Wildlife Refuge in Chatham, on Cape Cod, MA. This beautiful, wild place is a stunning barrier beach; constantly shifting and changing, with new sand spits and cuts being formed, then lost, then appearing again. It is also home to a sizable gray seal population, and the seals have in turn attracted great white sharks. Between the sharks and the seals and the currents, it is a place to walk and sit. Just don’t go in the water. More warning signs await you as you descend the stairs to the beach. They aren’t taking any chances. 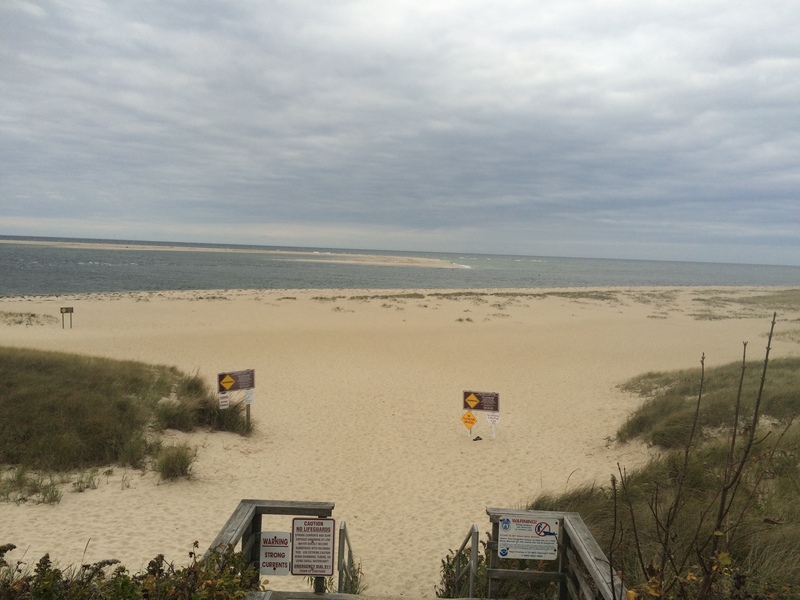 Here is another view of Monomoy Point. I always bring binoculars so I can gaze at the ocean, which, on this day, was a wee bit angry. Here’s some trivia: the Pilgrims on the Mayflower first tried to land here in 1620, but the currents were so treacherous they had to give up and head for calmer waters. They ended up in Provincetown. 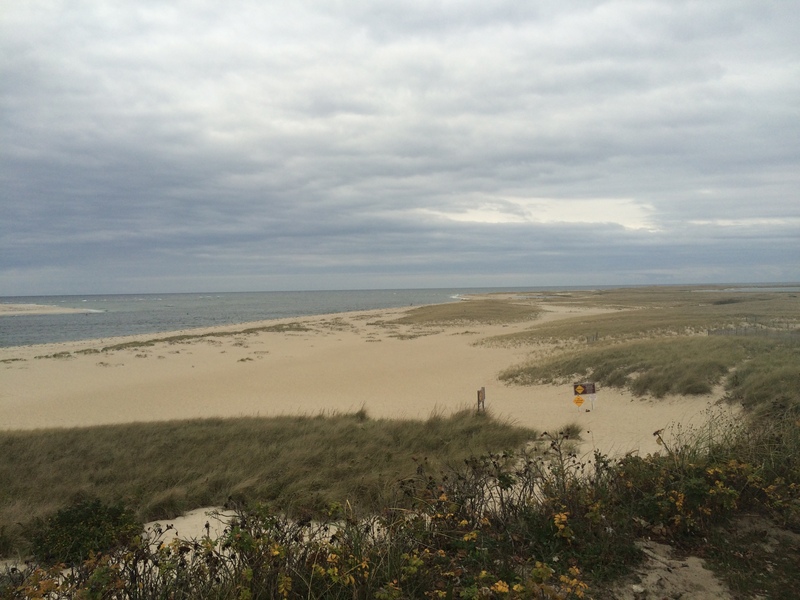 For more on the history of Monomoy Point, click here. Better safe than sorry! I’d be okay with only walking on this beach if it was near me. Just being close to the water makes me happy. It’s a great place to walk. You can go on for hours. And the seals sometimes come nearly up to the beach to check you out.